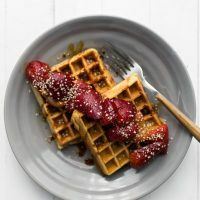 Gluten-Free Cornmeal Waffles with Sorghum Strawberries | Naturally.Gluten-Free Cornmeal Waffles with Sorghum Strawberries | Naturally. Sweet, spring waffles featuring a gluten-free cornmeal base for the waffle and just-roasted strawberries. 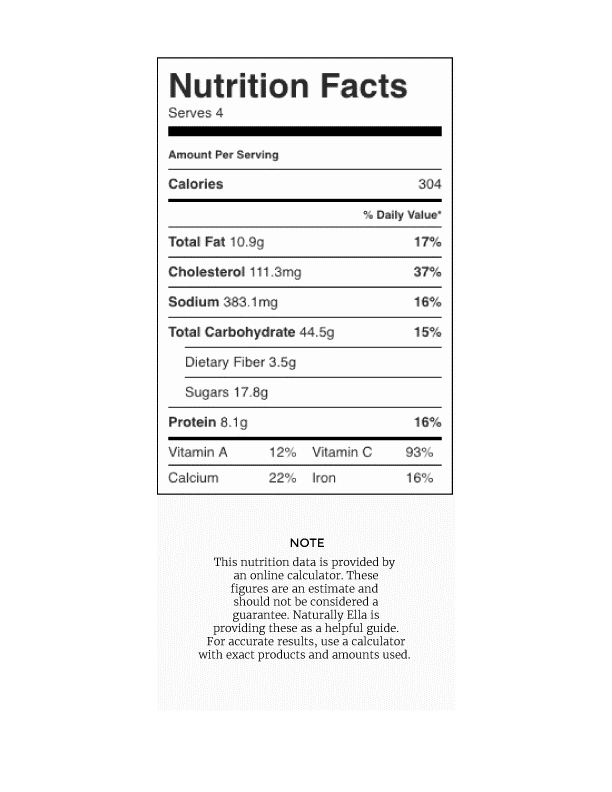 In a large bowl, combine the dry ingredients for the waffles. In a separate bowl, whisk together the milk, eggs, butter, sugar, and extract. Let sit for 10 minutes and preheat the waffle iron. Preheat oven to 400˚F. Rinse, core, and slice strawberries in half. Place in a roasting and and toss with sorghum syrup and salt. If the syrup is too thick, heat it slightly like you would honey. Roast for 15 minutes until the strawberries are tender but still hold their shape. It’s best to time it so that the waffles and strawberries are ready at the same time. Make waffles according to the directions of your square or belgian waffle maker. Using about half the batter per waffle batch or just eyeball to see what feels right. When waffles are done, top with roasted strawberries and sorghum, butter if desired, and seeds/nuts as desired. Tips & Tricks: If you’re trying to make waffles ahead of time. Cook the strawberries in a sauce pan with the sorghum and a bit of butter right before serving and use your oven at 200˚F to keep your waffles warm.